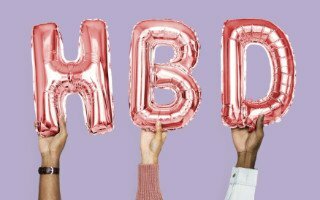 We are happy to announce USLIFEINSUANCEGURU.COM is officially one-year-old. In the past year, the online community’s DAU has been steadily increasing and has served thousands of individual users. Our users are mainly from the United States, mainland China, Hong Kong, and Taiwan. More than 80% of our visitors are from the U.S., scattered among the 10 major metropolitan areas. Uslifeinsuranceguru.com is the one and only Chinese service provider that focuses on U.S. life insurance industry vertically, and has become the first responder for industry news delivered to the Mandarin-speaking community, such as the widely discussed changes taking place in Voya. Uslifeinsuranceguru is also the first Chinese media that delivers rate information on the major U.S. life insurance companies, as well as the reference points for selecting the best or most suitable protection for the Mandarin-speaking communities. Our data indicates that the information we have been providing has become a critical and reliable resource for Mandarin-speaking communities. We provide assistance and ongoing support to learn about insurance policies and products, and we provide a form of educational assistance to enrich the knowledge and understanding about the different life insurance companies and their policies and insurance products. Uslifeinsuranceguru.com has become a credible and stable platform for Mandarin-speaking communities in the U.S. and elsewhere in North America to learn about news and developments in the insurance industry and especially to serve as a reference point for learning more about all insurance related issues and products. In September 2018, Uslifeinsuranceguru.com became a verified columnist for JD Finance, the leading online financial service platform in the Mandarin community, which provides information and recommends services and products including consumer credit and wealth management products. In October 2018, Uslifeinsuranceguru.com become a columnist for Toutiao, a leading news and information content platform, also one of Mandarin community’s largest mobile platforms. Our content has since been featured twice on the front page. Also in October, we contacted another international financial and life insurance company. Due to confidentiality issues, we cannot release the name of the firm yet, but we are engaged in good faith efforts to expand our presence to provide the most current and updated industry news and information for our users in the foreseeable future. As the individual of our community, we endorse Net Neutrality Law, and we donate to Wikimedia Foundation annually. In September 2018, we participated in the Orange County Susan G. Komen Race for the Cure® in the effort to support the cause of raising breast cancer awareness. We care about the people who suffered from the Hurricane Michael in Florida and the recent devastating Camp Fire in California. 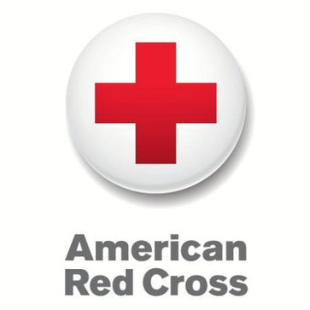 We made donations to the American Red Cross for disaster reliefs in the hope to help them rebuilt the community. 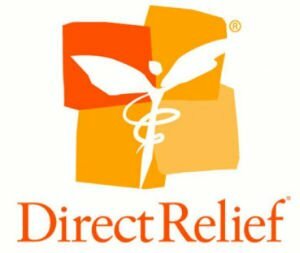 We also encourage donations to Direct Relief, a non-profit, non-partisan organization, dedicating to provide essential medical resources to natural and man-made disasters. We are also big advocates for local business and community farming. One of our community contributors is the curriculum developer for her community education farm, conducting volunteer work to develop hands-on programs about organic farming and sustainable agriculture for young kids and teenagers. You can click here to learn more and make donations. Looking forward to 2019, uslifeinsuranceguru.com will continue to emphasize its vision and mission to help Mandarin-speaking communities to acquire and discuss comprehensive insurance industry news, to learn about companies and products, and to help share objective and reliable information with all community members’ for improvements in financial and life insurance planning for their families. We believe there is never the BEST product, but rather some products, as opposed to others, may be the most SUITABLE based on individual, family, or business needs. During the process of pursuing our mission, we have realized that professional companies and agencies, as well as financial planning individuals, have to be trusted and they are critical components in reliable financial and insurance planning processes. Uslifeinsuranceguru.com cannot stress enough the importance of seeking advice from industry professionals for life insurance products and financial planning. In our continuous effort to provide better service to the community, uslifeinsuranceguru.com will launch a new Internet-based product, operating independently from the main website, to connect the industry professionals with the Mandarin-speaking consumer base. We extend our warmest invitation to you to participate in our beta testing. Please send an email to [email protected], leave your contact information and a brief introduction of yourself, agency or company, etc. We look forward to your participation and will contact you once we receive your email. Based in North America, https://www.uslifeinsuranceguru.com is dedicated to helping the Mandarin-speaking community around the world to gain comprehensive knowledge and updated industry news about U.S. life insurance, to help to share financial planning experience and recommendations from industry professionals. We believe there is never the BEST product, but rather the best SUITABLE ones through professional planning.